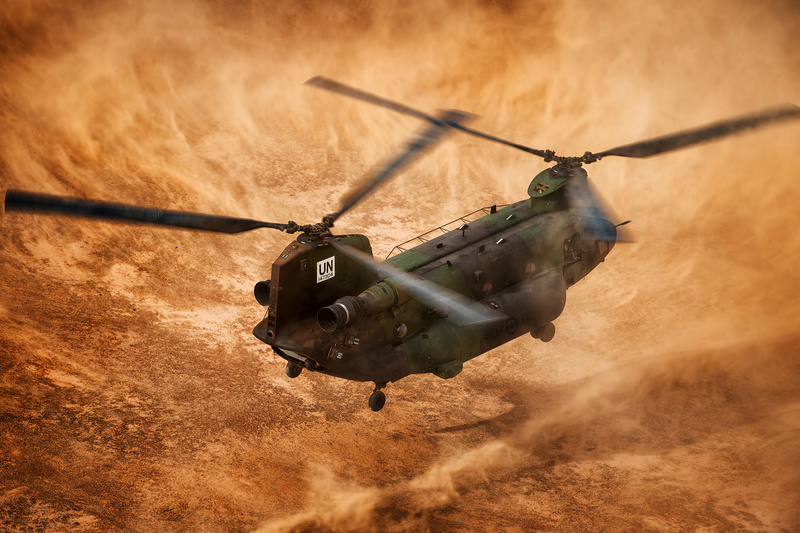 A Royal Canadian Air Force CH-147F Chinook attached to the Canadian Armed Forces task force in Mali during a brown out landing near to Gao, Mali. Pretty spectacular. Was just reading about the most recent bombing. Tough place to be. Yeah it seems to vary massively in terms of danger from North to South, I think it was a landmine that they drive over though if it's the same one I read about. A totally exceptional image - I check the Photo of the Day daily and this shot by far is the one over the past month that has just stopped me in my tracks. Epic energy, great use of shutter speed and superb colours and comp. Can't fault it. I just don't understand why anyone would vote this any less than 5 stars. Someone explain to me any flaw in this image? This is just perfect.